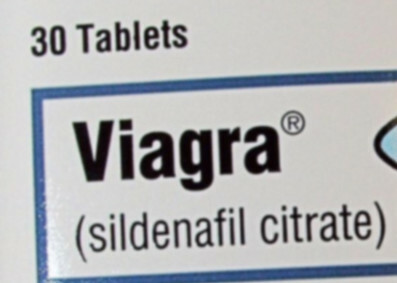 Viagra: image by digital pretzel via Stock.xchng. The latest stories generated by FOI requests in Ireland. The affluent Dublin South region is spending close to a million Euro a year on Viagra, according to figures released to the Irish Independent. This may possibly be of interest to Minister Alan Shatter (62), recently in the news for disclosing confidential data about another deputy. Shatter, whose constituency is in Dublin South, has also been in the news when Laura, his saucy novel published 24 years ago ('When she loosened her grip and her body relaxed, he knew he was going to erupt') was reported to the Censorship of Publications Board. Fellow Dublin South TD, independent Shane Ross (63), complained in the Irish Independent that the Garda Siochana - not subject to Freedom of Information requests - were 'a fortress of silence, permanently alienated from the current demands for transparency'. His requests for information about expenses have not had a response for three months. He refers to concerns raised about accusations of collusion by the force with a convicted drug trafficker. An independent investigation by the Garda Siochana Ombudman Commission was highly critical of failures to disclose information. 63 requests were made for information - only 17 were handed over in an agreed three month time frame; six took more than a year and one has still not been disclosed. 'The independent probe took four years,' Ross points out, while a gardai internal verdict on the issue of penalty points - which found no serious offences had been committed - 'took a matter of months'. The collusion allegations were touched on by Emily O'Reilly, Information Commissioner and Commissioner for Environmental Information, when presenting her offices' annual reports. She called attention to an increasing tendency by public bodies to put requests on the long finger. Failing to cover for staff leave and closing the FOI unit for an entire month were among the worrying behaviour by authorities. Meanwhile the Department of Jobs, Enterprise and Innovation had decided unilaterally and without warning to cease collecting statistics on FOI requests. Of 188 bodies covered by the Act, 110 had failed to provide returns, which made it impossible to produce monitoring figures. Separately, she blamed the recession, and the need for medical details to support welfare claims, for the 38% increase in requests, mainly for personal data, received last year. The Irish Times reported worrying differences in response times to cardiac emergencies in different regions. Just one in three of the people in the Western region received attention within 8 minutes, the recommended target, compared to 60% in the East. The Irish Independent revealed that Andrew McGuinness, son of the Public Accounts Committee chair John McGuinness, claimed over €30,000 in overtime while working as personal secretary to his father in the Department of Enterprise. Meanwhile, in an attempt to avoid negative publicity over the use of the government Gulfstream jet, details of the use of the jet are to be published proactively. Finally, it was disclosed that independent deputy Luke 'Ming' Flanagan and a Fine Gael senator made use of a little-known rule of the Oireachtas to have themselves marked as present in Leinster House, when they were actually on a delegation to Morocco. Although the trip was funded by the Moroccan government, flights to the value of €6,333 were paid for by the Irish taxpayer. A report in the Tyrone Times shows that 44 suicidal patients a week attend Accident and Emergency services in the area. The British government is to hire private investigators to track down Irish students who have defaulted on over €4 million in student loans. This amounts to nearly half of the Irish students who received UK loans. Inspection reports obtained by the Irish Independent show serious lapses in standards in childcare facilities. The Central Bank was warned of problems with a James Joyce €10 coin before it was issued, according to broadcaster RTE. Although the coin featured an error in a quotation, it sold out within two days. The report into garda collusion was by the Garda Siochana ombudsman Commission, a separate body to the Information Commissioner. Emily O'Reilly is not involved this time, though she does wear several FOI/data protection hats. Thanks Gerard - I have amended the text, because it was confusing. Apparently she mentioned the GSOC investigation, but it's not clear what exactly she was saying. I hope it makes sense now.